An awesome evening at Mudhouse Coffee Roasters in Charlottesville, Virginia. 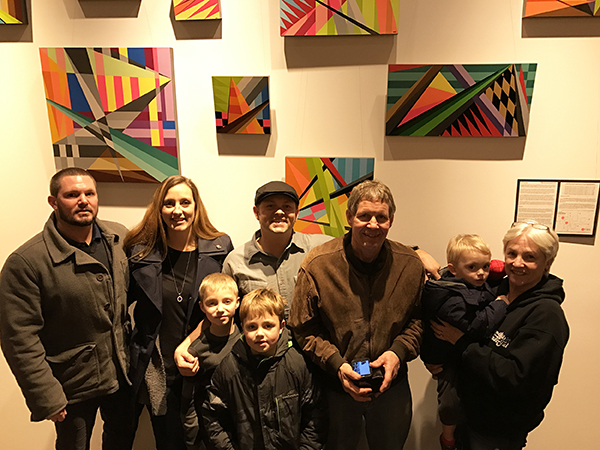 Thanks so much to everyone who came out to the opening of the “Fractal” exhibit at Mudhouse Coffee Roasters​ in Experience Charlottesville​ on Friday evening. The friendly faces and moments shared with so many folks will be remembered forever. Almost twenty years in and out of this awesome town and finally a photo with my family at a “C-Ville” exhibit.